How many customers can you afford to lose before it affects your bottom line? Losing voice communication and access to data caused by human error, intentional acts, or nature can severely handicap or paralyze a company’s ability to do business. Whether or not your business has experienced any of these yet, some form of communication and data loss are common problems that most businesses experience at some time in their existence. In all probability your business has a state of the art phone system and computer hardware, video conferencing, superior staff, great health benefits, vacation and retirements plans but do you have a Disaster Recovery Plan in position to protect your business? Whether you have one or multiple locations is irrelevant. In the current economy, it is a hard truth that even the smallest service interruption can produce devastating consequences. Is your business protected? If not, why not? Due to incidents that can negatively impact your bottom line, emergency planning preparedness is becoming increasingly ingrained in the corporate culture. Disaster recovery is a critical concern for today’s organizations, challenging businesses to find a solution that provides continuous service that fits within budget constraints. The realization that making a profit is directly linked to providing uninterrupted service, even in the most extreme situations, has hit home. For those who use computers on a daily basis-home or office-to access files and business programs, VPN into company networks and communicate via the Internet, connection interruptions can be alarming. Just the thought as to what would happen if all or part of their information were lost can push the panic button. Consider this scenario on a much grander scale, for example, in a major corporation. Without the ability to receive or make phone calls, access information or get on the Internet the amount of lost revenue can reach staggering proportions. How long can your company be out of touch with your customers, suppliers, vendors? Two such incidents that crippled businesses, resulting in billions of dollars in lost revenue, involved the recent widespread power outage in New York and in Chicago, Illinois, extensive fire damage at LaSalle Bank. Although La Salle bank was up and running on a limited basis by the next morning, having a disaster recovery system in place would have resulted in far less downtime. How much revenue can your organization afford to loose? Many large corporations have disaster recovery plans but small to medium companies often are unprepared for this type of emergency because they weigh cost against the possibility of business interruption and decide to take a chance that this will not occur in their business. Imagine this dilemma: A medium size company that sells widgets experiences a power outage lasting two full days, completely disabling your phone communication capabilities. What would happen to your customers trying to call in and to your ability to call out from your call center? Having no way for your customers to contact you or vice versa starts costing you money from the moment that the outage occurs. Is your company ready to handle this type of emergency? For voice, it means having a system in place that allows you to continue to have voice communication without interruption. For data, it means having an off site backup to recapture data to full function after power is restored. How does a disaster recovery system work? After an emergency situation occurs, the first step allows you to quickly regain the ability to connect with your customers. With a disaster recovery plan at the ready, you notify your solution provider and the phone company to begin routing your calls to an off-site facility where your calls are answered as if you are still doing business. In the second step, your employees would go to the nearby backup facility to resume phone operations, limiting down time and regaining control over phone communications as well as the ability to access vital information and company files. A company has obvious direct costs associated with a disaster that stem from business interruption; however, there are also many indirect costs to be considered, such as, cash flow disruption, loss of customers, loss of competitive edge, loss of market share, loss of investor confidence, erosion of business image, and legal or regulatory violations. Installed and serviced by a professional voice and data solution provider, disaster recovery is a tested and proven comprehensive formula for business continuity. Reviewing this checklist will help you to determine how well-protected your company would be if your voice and data communications were compromised in a disaster. o	If our phones go down, we have an alternate system in place to maintain contact with our customers. o	Our data is backed-up off-site on a daily basis. o	We have a system in place that allows us to inform the staff immediately to begin specific and designated functions. o	To decrease downtime, we have an off-site facility accessible where employees will work until the primary site becomes available. 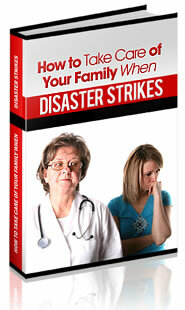 o	We have a step-by-step plan of action for when a disaster occurs. o	We are prepared for any business interruption that will adversely affect our bottom-line. Most businesses fear competition or terrorist attacks as the highest risks to their bottom-line, however, business disasters caused by human error, natural disaster, and power outages pose a much greater risk to uninterrupted business. Protecting your voice and data services is critical to maintaining business continuity during disasters as well as in day-to-day operations. « Have You Been Co-Mingling Funds, Assets and Activities?